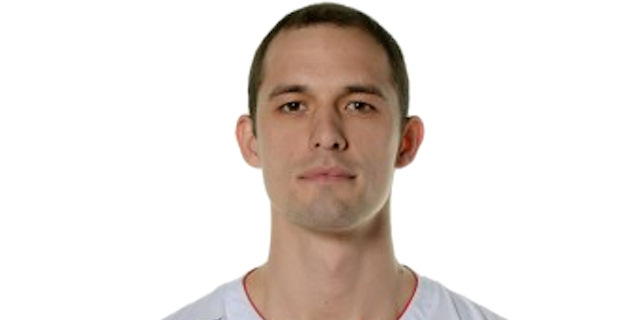 Made his debut with MBC Mykolaiv 2nd Team (Ukraine), Higher League, during the 2004-05 season. Mae his debut with MBC Mykolaiv main team during the 2006-07 season. Moved to Spain for the 2009-10 season, signed by BAsquet Manresa. Signed for the 2012-13 season by Baloncesto Fuenlabrada. Signed for the 2014-15 season by Sluc Nancy. Signed for the 2015-16 season by AS Monaco Basket. Won the 2016, 2017, 2018 French Leaders Cup with AS Monaco Basket. Played the 2009 Ukrainian All Star Game. Played the 2017 French All Star Game. Has been member of the Ukrainian U-18 and U-20 National Team. Played at the 2006 and 2007 European U-18 ‘B' Championships. Played at the 2008 European U-20 Championship.